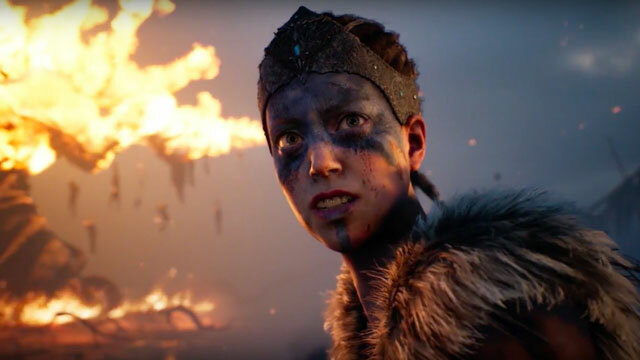 Ninja Theory is releasing a VR version of Hellblade: Senua’s Sacrifice. It’s coming out on July 31st, on HTC Vive and Oculus Rift. And, if you own Hellblade on Steam, you’ll get the VR version completely free. I love the fact that Hellblade: Senua’s Sacrifice overshot all of the studio’s projections. We need more mid-tier-priced games like this, and I hope it does start a trend. Interestingly enough, though, the developer, Ninja Theory, have announced the VR version of Hellblade. It’s coming out very soon, on July 31st. You’ll be able to play it either on the HTC Vive or the Oculus Rift. And, best of all, if you own Hellblade on Steam, you’ll get the VR version for completely free. The developers do recommend a minimum of an Nvidia GTX 1080 graphics card, and a “reasonably-speced” PC, though, so be aware that you will likely need a pretty good setup. To promote Hellblade VR, Ninja Theory have released a video, in which they explain how they built the new version. Because, as commercial director Dominic Matthews makes sure to point out, this isn’t some extra content or DLC; it’s the whole of Senua’s Sacrifice as a VR experience. And, basically, the main challenge was to translate the game in such a way that doesn’t cause nausea. The first thing were the cutscenes, because the various camera moves can easily make you yawn in technicolor. After they managed to take care of the cutscenes, then, there was the matter of integrating the VR into a third-person game. That’s not exactly the most usual of things, third-person VR games. In the end, the result is that you’ll control looking around with the camera by turning your head. I guess that’s not much, all things considered, but hey, Hellblade is a very atmospheric game. I can kinda see it working in VR. And, hey, it’s free.